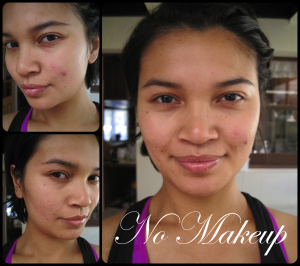 This step by step tutorial will show you how to cover up skin imperfections. 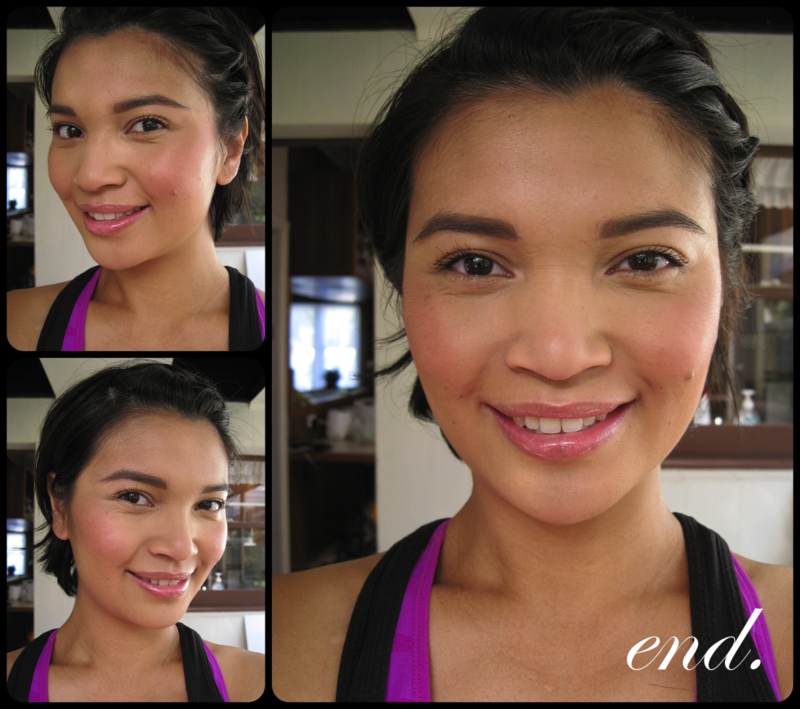 By creating that perfect base, without looking overdone. Note that makeup can cover colour, but it does NOT change the texture and appearance of your skin. I would always recommend a great skin care routine. Rehydrate the skin with a hydration mist. This allows your makeup to glide on, and it helps your makeup last longer. My favourite at the moment is Mario Badescu facial spray. It suits all skin types, and smells wonderful! Next prime your skin with your chosen primer. I was given this Arbonne primer as a gift, it’s silicone based so it leaves your skin feeling smooth. I have lots of primers, and to be honest this one wasn’t top on my list, but it gives you a nice finish. Your skin type will determine what primer you should be using. Start by applying the primer from the centre of the face (T-zone) and work your way out. Your T-zone is where makeup tends to move out of place, thats why I suggest to prime there and work your way out, to avoid too much product build up. Dot on your foundation in the areas that you will need to cover up the most. I’m LOVING my new Hourglass Veil Foundation, medium coverage with anti-ageing benefits! I will be doing a review of this foundation soon. 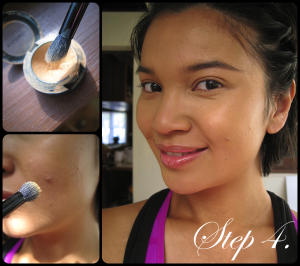 Spread it out using your foundation brush, using a downwards stroke. We have tiny little hair on our face so you want to be smoothing them out, not lifting them up! Tip: Pat in areas that need more coverage e.g under the eyes and spots, or if your foundation seem to be streaking. Add another layer if needed. There is 1 layer of foundation all over my face, with a small additional pump on the problem areas. 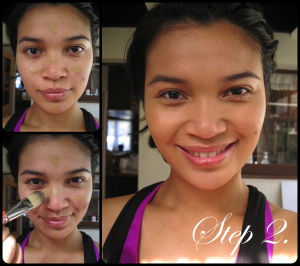 Apply concealer to any area that is dark, red or spotty. You can see the difference between my left and right eye. I have applied concealer to one, and not the other. Can you see the difference? 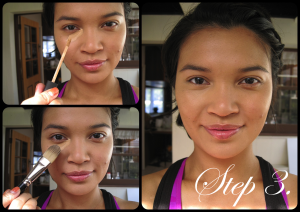 Blend the concealer by pressing it into place. This method avoids you moving the concealer out of place. Tip: Depending on how dark you are around the eyes, you many need to have 2 different coloured concealers. Otherwise instead of covering up the area it will look grey. The colour of your concealer is more important the amount of coverage it can give you. Using a fluffy brush gently dab on spots and harder to conceal areas. I had an annoying pimple the other day and instead of applying a heavy concealer all over I used studio finish concealer and focused on just the spot, I also buffed a bit onto my scarring on my other cheek. 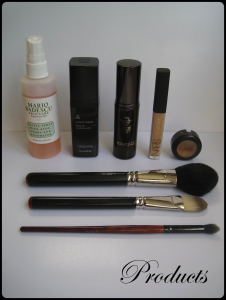 Tip a fluffy brush will apply less product and will blend the concealer evenly. Tip: Even if you have dry skin it’s still good to apply a very small amount of powder in areas that will tend to move. Here is the end result. I have just added blush, mascara, lipgloss and drawn in my eyebrows for a complete look. As you can see you can still see the bump of my pimple, and probably some fine lines. http://www.justineo.com/how-to-cover-up-skin-imperfections/ http://www.justineo.com/how-to-cover-up-skin-imperfections/ http://www.justineo.com/how-to-cover-up-skin-imperfections/Which you cannot hide. You need to remember that everything in magazines have been retouched to look like they have perfect skin. I say love the skin your in, makeup to me is fun, and it’s about enhancing what you’ve got. I hope you’ve enjoyed this post. Feel free to leave your comments below, and if you have anything that you wish for me to cover in a blog post let me know.